For the first time since its release back in June, Jurassic World, the latest entry into the Jurassic Park franchise, fell out of the box office top ten. That’s a run of almost two full months. At this point, the film has made more than $1.5 billion worldwide, which is tops for this year and currently sits firmly in third place all time. Though that’s an impressive achievement, it doesn’t have a chance in hell of catching Titanic at number two. Having already made a stupid amount of money, we’re pretty close to crowning the Colin Trevorrow-directed film the box office champion of 2015, even though we still have a few months left to go in the year. There are some great movies left on the docket, but most don’t have the proverbial snowball’s chance to even come close. Still, as dominant at the rampaging dinosaur flick has been, there are a small handful of entries that maybe, just maybe, could possibly knock this monster from the throne. A new James Bond movie is always going to be a hotly anticipated commodity. Even when the franchise has hit its lowest points, we still want to see what shenanigans the international super spy gets up to next—as a world we do owe him our collective lives many times over. And it doesn’t hurt that with the next installment, November’s Spectre, they’re coming off of the billion-dollar-plus grossing Skyfall. 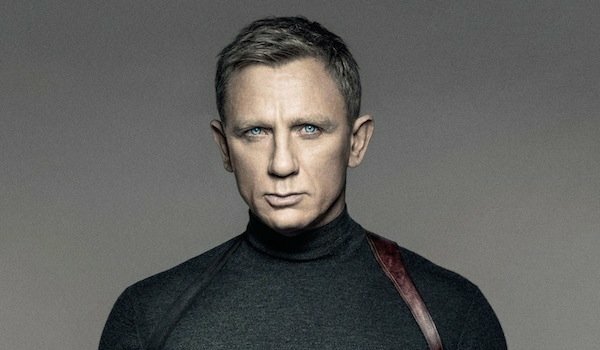 While Daniel Craig’s future as Bond may be up in the air, he’s back for at least one more ride, battling a mysterious new villain in Christoph Waltz, who appears to be the head of the shadowy international terrorist organization Spectre. Seeing a revamped version of a classic Bond antagonist is an exciting prospect for fans. Skyfall director Sam Mendes is also back at the wheel this time around, though he’s said this is his final Bond film. With all of these pieces in play, expectations are, understandably, through the roof for Spectre. What we’ve seen thus far looks pretty damn awesome; we can’t wait to see that massive Day of the Dead opening in Mexico City. As for box office returns, on that matter we’ll have to wait and see, but however much money it makes, we’re excited for this one. 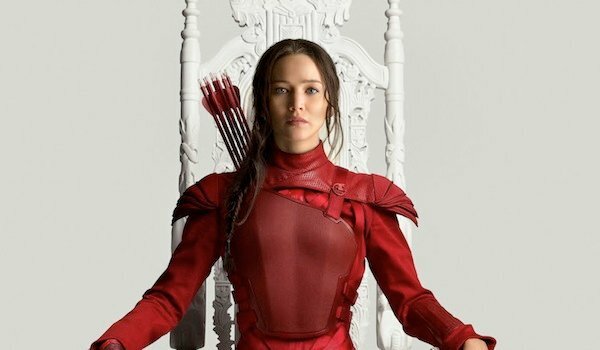 Over the last few years, Katniss Everdeen, and her civilian alter ego Jennifer Lawrence, has proven to be a force to contend with when it comes to box office numbers. Taken together, the first three movies in The Hunger Games franchise have earned more than $2 billion across the globe—audiences seem to have a fondness for seeing people stand up and throw off the chains of their oppressive governments. The middle chapter of the saga, Catching Fire, was the highest grossing movie, domestically, of 2013, marking the first time a female-fronted action film took this spot. Though none of these movies have come close to topping Jurassic World’s numbers—Catching Fire’s $864 million worldwide take makes it the highest earner—the franchise is still wildly popular, especially with younger audiences, who are more inclined to repeat viewings. With the final installment, The Hunger Games: Mockingjay—Part 2,on the way to theaters in November, this could potentially whip up the fan base into enough of a frenzy to give the frenzied dinosaurs a run for their money. It’s a long shot to be sure, but at this point, everything is a long shot. After all, it’s hard to bank on a movie making a-billion-and-a-half dollars. J.J. Abrams’ Star Wars: The Force Awakens is easily the odds-on favorite to knock Jurassic World out of the top spot. Come on, we’re talking about Star Wars, this is going to be huge. 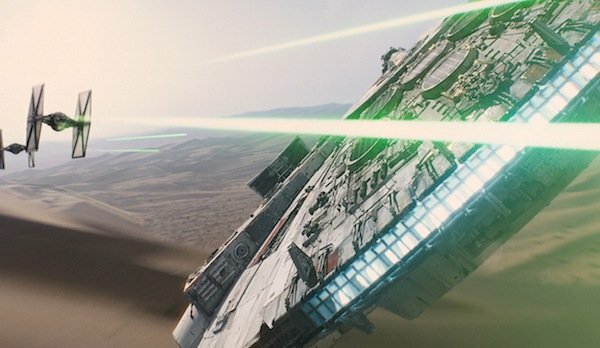 A few folks at Lucasfilm have cautioned that it may not be as massive financially as some people expect, and in fact it very well may not be able to top Jurassic World, but no matter what, it’s going to make a ton of cash. Not only is this the first new film in the franchise post-Disney buyout, this is the first new film in a decade, since Revenge of the Sith in 2005. While the new films are banking hard on nostalgia, bringing back key figures like Harrison Ford, Carrie Fisher, and Mark Hamill, among others, to reprise their iconic roles, they’re also trying to capture the spirit and feel of Star Wars with a new generation of characters. Abrams and company have taken great pains to distance themselves from the prequels by doing things like relying on practical effects instead of the ubiquitous green screen, and there are thankfully no midi-chlorians. The prequels could prove to be a double-edged sword, however. On one hand, fans are hungry for good Star Wars movies (I know there are prequel supporters out there, but there are way more haters), but those films also turned a lot of fans off to the franchise, and some could take a wait and see approach. However, out of any film still to come this year, Star Wars: The Force Awakens has far and away the best chance to surpass Jurassic World. Unless something truly bizarre happens and some off the wall picture like Goosebumps or Jem and the Holograms comes out of nowhere and throws us all for a loop, but that doesn’t seem likely.